On October 9, 2018, Intraspexion received its eighth U.S. ‘deep learning’ patent, No. 10,095,992. The co-inventors are Intraspexion’s CEO, Nelson E. (Nick) Brestoff and Intraspexion’s Chief Data Scientist, Jagannath Rajagopal. And, to explain a bit more about what this patent means and what’s happening at present with the company, Nick has interviewed himself, which he is actually very good at. Take it away, Nick. I received two degrees in engineering, from UCLA (B.S., systems) and Caltech (M.S., environmental), before I went to law school at USC. I had a 38-year career as a California litigator when I retired in 2014. In 2015, I saw deep learning while I was editing my book. I was the lead author of Preventing Litigation: An Early Warning System to Get Big Value Out of Big Data. I was honored when the UK’s own Richard Susskind endorsed it. You’ve been focusing on patents. Why? Wayne Gretzky’s advice: Don’t skate to where the puck is; skate to where the puck is going to be. In late June of 2016, after reading the opinion in Bascom Global v. AT&T Mobility,827 F.3d 1341 (Fed.Cir. 2016), I saw how to write software system patents and opted for a patent-first strategy. By mid-2016, I thought: (1) AI in the form of deep learning was where the puck was going; (2) Mike Becker and I had already tried a ‘deep learning’ model for employment discrimination on Enron emails and found a needle in the haystack; (3) a product-first strategy would have meant creating patent-invalidating ‘prior art’ and (4) Corporate Legal would be slow to adopt any form of AI. In just over two years, AI for Enterprise is clearly on the elbow of an exponential, while AI in Legal is still on the flat end but moving. On December 4, I’ll be on the first “AI in Legal” panel at the AIWorld Conference & Expo in Boston. Let’s focus on your latest patent, your 8th. What did you mean by ‘low-frequency’? I mean ‘infrequent’ adverse situations. Blockchain enables a secure collaboration. This patent envisions a Corporate Legal Data Consortium. What do you mean by Data Consortium? Say a group of companies faces the same infrequent adverse situation and agrees to form a joint venture with us. But while they agree to share their internal data for that risk, they don’t want us, or any other partner, to see it. So, while the ‘smoking gun’ text is still behind each partner’s firewall, each partner uses a ‘word embedding’ process to turn the risky words into strings of numbers. Then, each partner will have a unique input key for their numbers, but no output key. We’ll have no input key, but will have the only output key. With the larger set of number strings, we can build a model that ‘understands’ the risk. Today, no one looks at all the emails from yesterday. But our model acts like a filter and allows users to see a small number of candidate emails that may be True Positives. When Corporate Legal users identify them, investigations are enabled. With early investigations, prevention is possible. And that’s the big payoff. 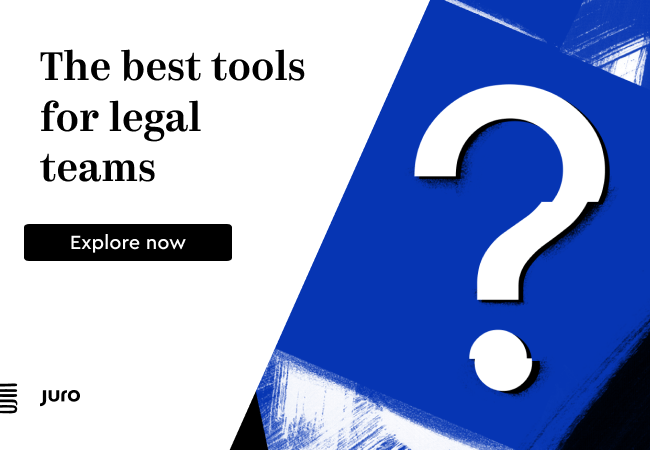 Successful litigationpreventionhas a much higher ROI than efficient litigation management. What’s the ‘computation’ on blockchain? The computation is the addition of multi-party data from investigation capstones and emails to make a sufficiently large training set. And the ‘high value situations’? This patent mentions three: (1) violations of the Foreign Corrupt Practices Act, (2) losses due to the theft of trade secrets, and (3) losses from product liability lawsuits. Our first patent applies to any business-relevant PACER category. Do others have deep learning patents? Yes, and we’re punching way above our weight. As of October 9th, our U.S. portfolio of ‘deep learning’ patents is currently surpassed only by Google, IBM, Microsoft, and Siemens Healthcare. With eight patents, Intraspexion is in 5th place. Just behind us, with six patents each, are Amazon.com, NEC, and Nuance Communications. To keep track, I built a spreadsheet of publicly available patent information from 2013 to the present, which I update every week – if you’d like a copy of it you can mail me here. So what’s next for Intraspexion? Regarding patents, the International Searching Authority has issued a favorable opinion as to novelty, inventive step, and industrial applicability, but we haven’t decided where to file. As for products, we have a great start with an on-prem solution. We’ll have a cloud solution soon because, last month, Intraspexion was accepted into Microsoft for Startups, which paves the way for testing with Azure. 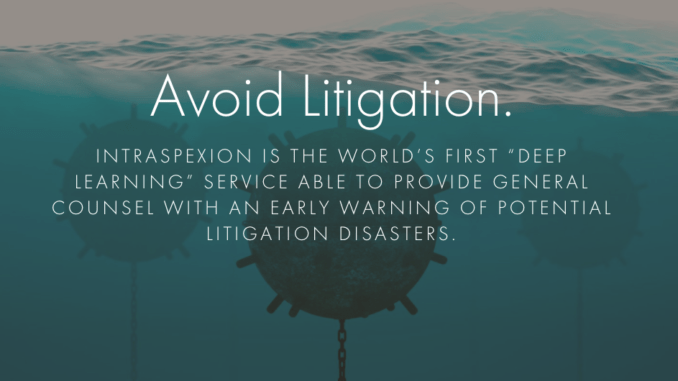 Readers will find Intraspexion in the AL 100 under Data Security and Litigation Risk.